Kim has been practicing yoga for Ten years and teaching for Eight. She has taught Gentle Flow classes, Power Yoga classes, Yoga with weights and everywhere in between. 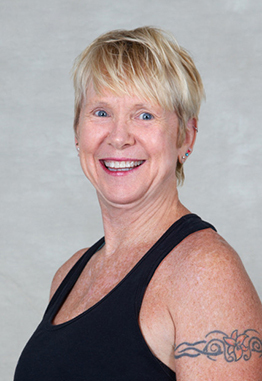 Kim is 200hr E-RYT certified Yoga Instructor with Yoga Alliance. She also has certifications in Group Exercise, Mat Pilates, Advanced Mat Pilates, PiYo and am trained in Kid’s Yoga, Chair Yoga, and Silver Sneakers as well. Kim strives to help her students create strength and focus while maintaining proper alignment, building their self-confidence and to aid them in learning to let go of self-judgment and the ego. Kim is a dynamic teacher who embraces life and loves helping her students learn.